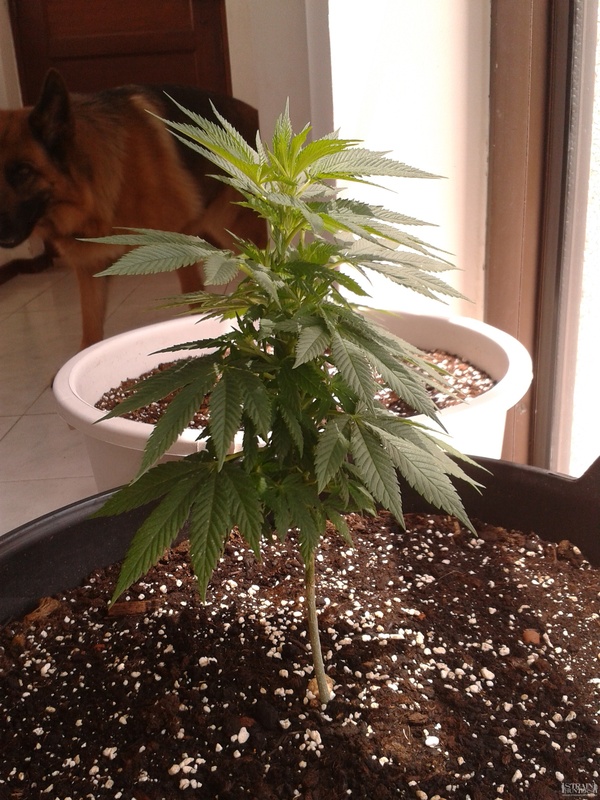 I decide to invite all of you to follow my blog, since it's my main form of updating to my grows (the GH Official Tests I update and post them in the Official Tests section forum). I would love to know that all of you guys knows what I'm growing and doing, so if you're interested please follow my blog! 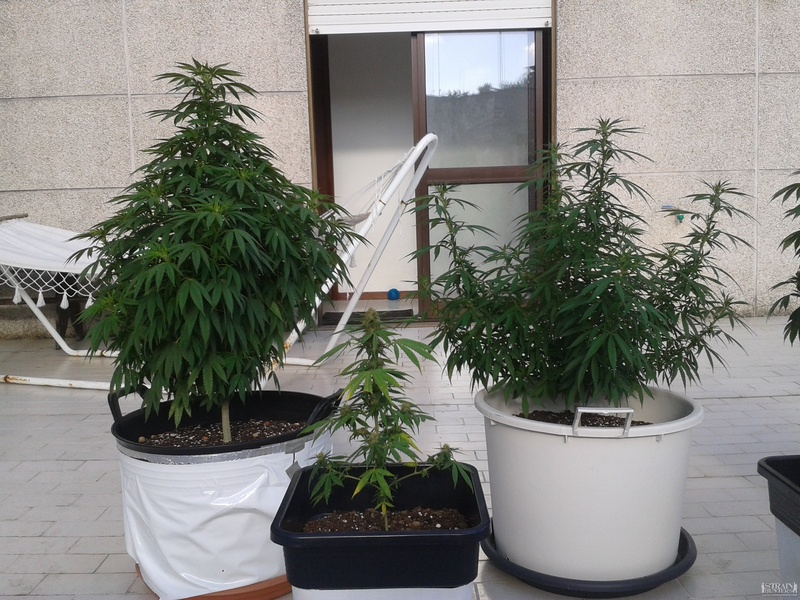 Already forcing plants to flower from about one week ago..
Left to Right: Kalashnikova, Dr. Grinspoon, King's Kush and White Lemon! In front are the two NL Autos. 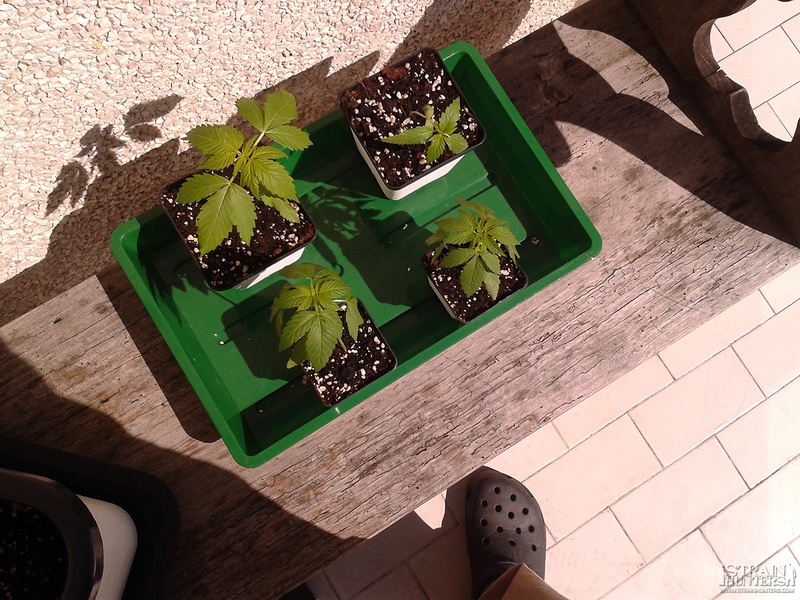 Left to Right: Kalashnikova, Dr. Grinspoon, White Lemon and King's Kush. 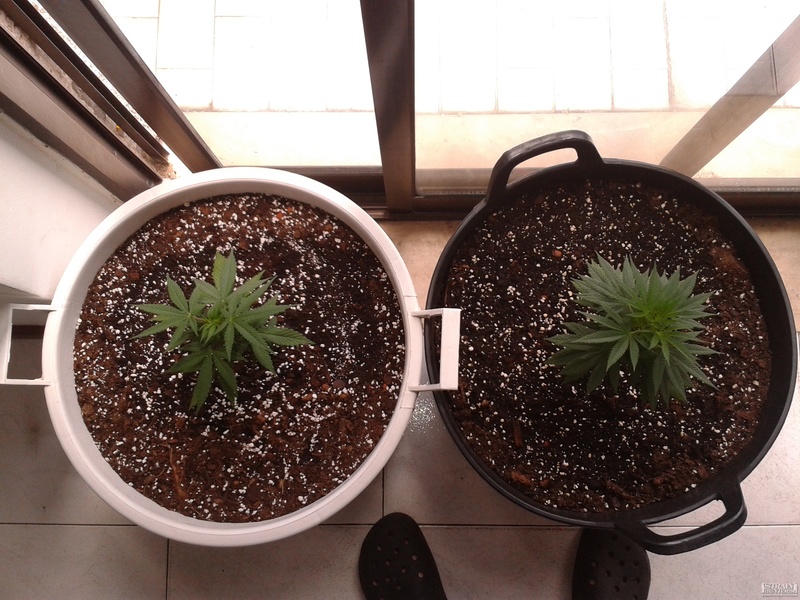 Both transplanted last night, the Kalashnikova from a 2L SmartPot and the Dr.Grinspoon from a 0,5L round pot. 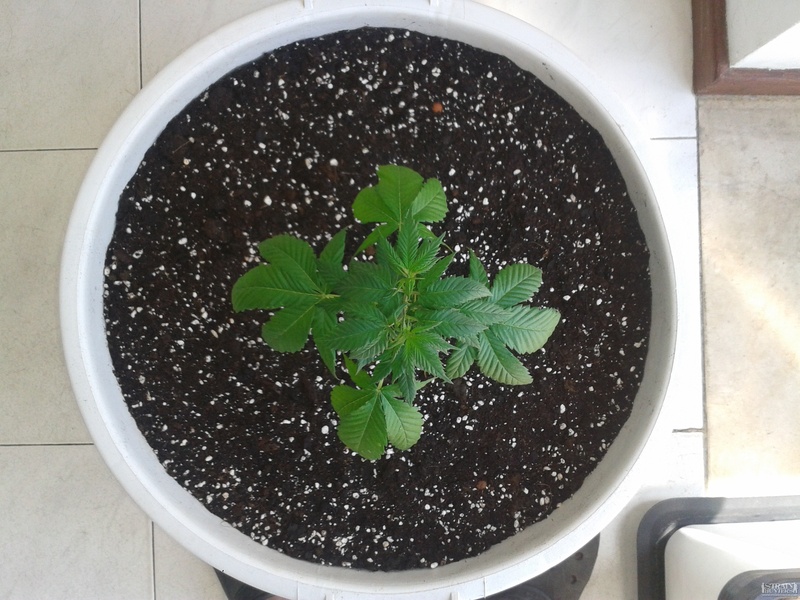 Now have come the time to the White Lemon to be also transplanted into a 40L pot for this outdoor Summer grow. 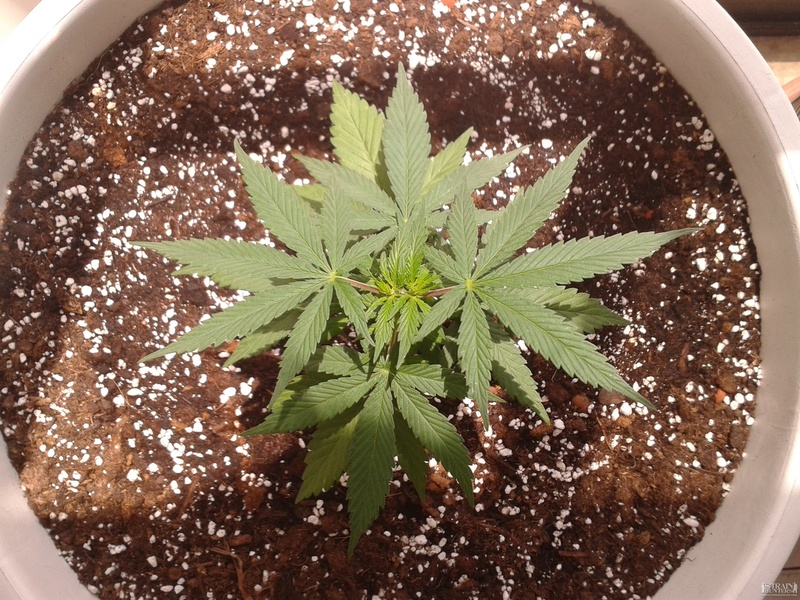 Transplanted last night from a 0,5L squared pot. I'm inloved with this strain already! 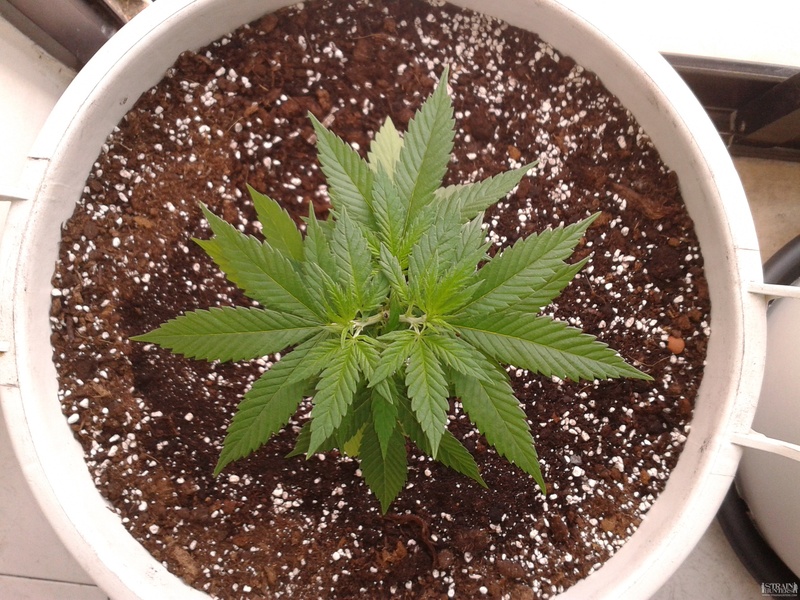 Will give her one more feed and after dry will start flushing before harvest, she's in her 11th week now. 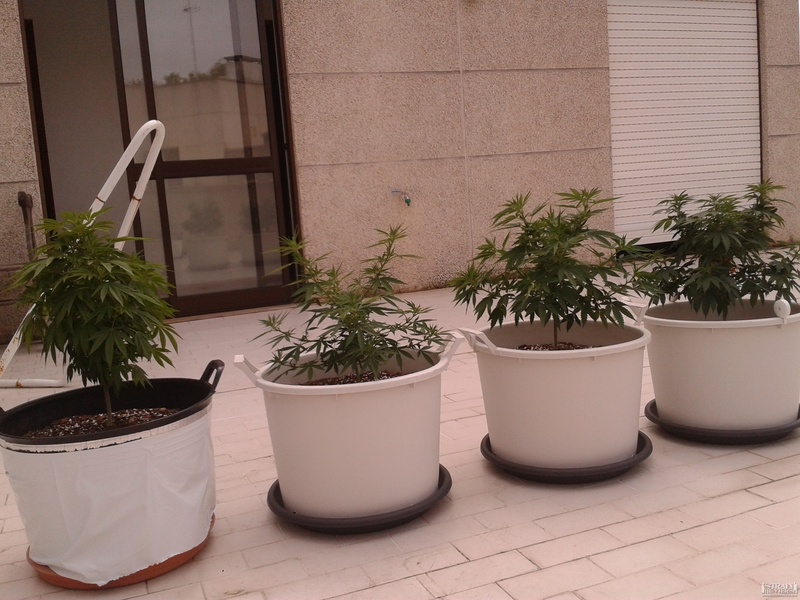 "8 weeks flowering time with a great production up to 100-150 grams/plant. Long branching. 18L squared pots from day 1. 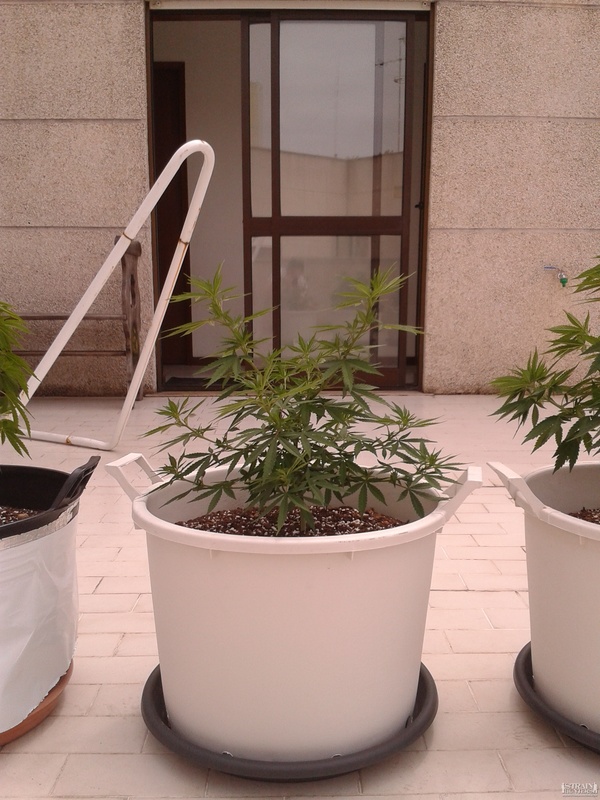 I use organic/mineral nutrients as base: BioNova for veg and Plagron Alga-Bloom for flowering. 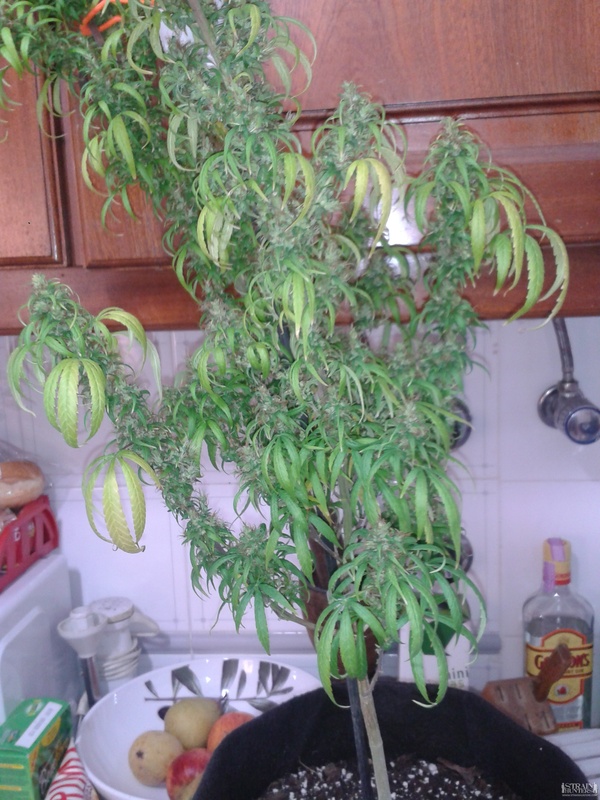 Flowering additives are Plagron Green Sensation and AN Big Bud. Electrolites (Humic acids) are from BioBizz TopMax. 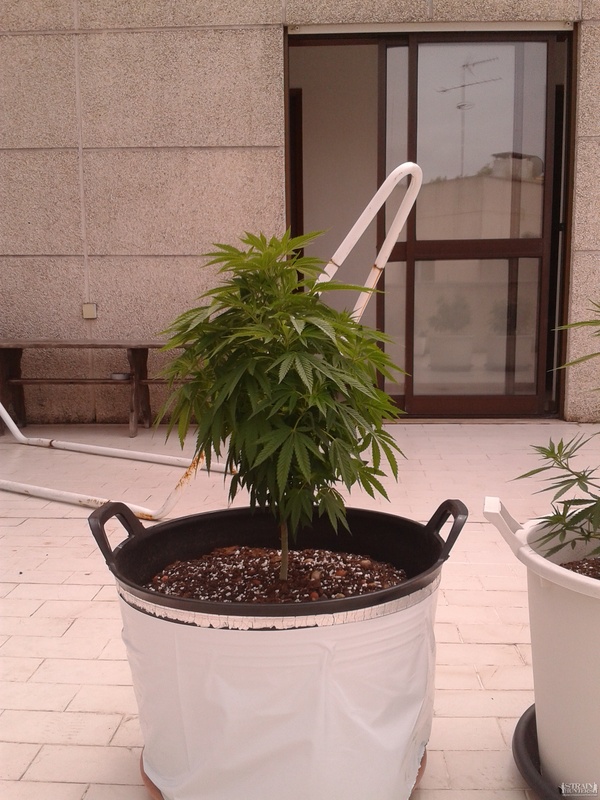 I PH and EC read all my waterings, fine tunning them to match the plants needs. Today I got 10x NL Auto's along with a Strain Hunters India Exp. DVD on my mail box! Franco and Arjan, you guys rock! 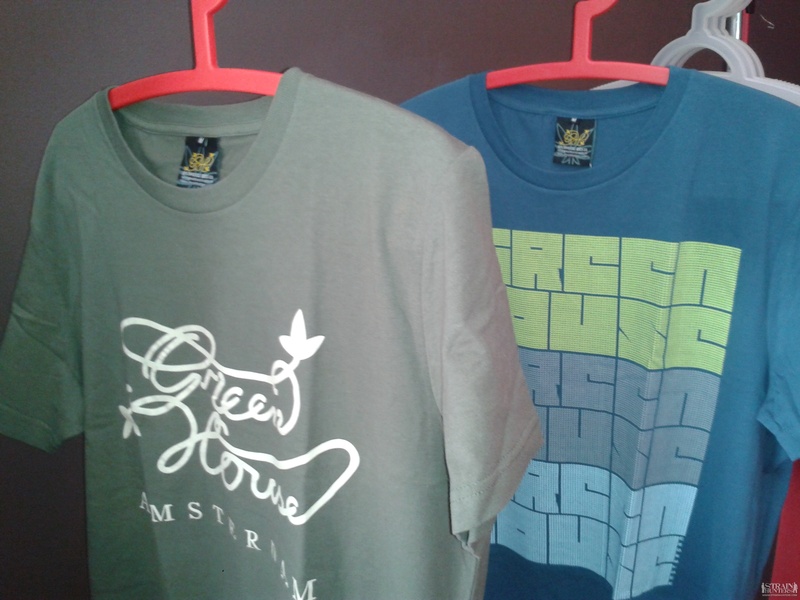 Thank you very much, Sir's! Green House Seed Co., house of champions! Deal with it!!! 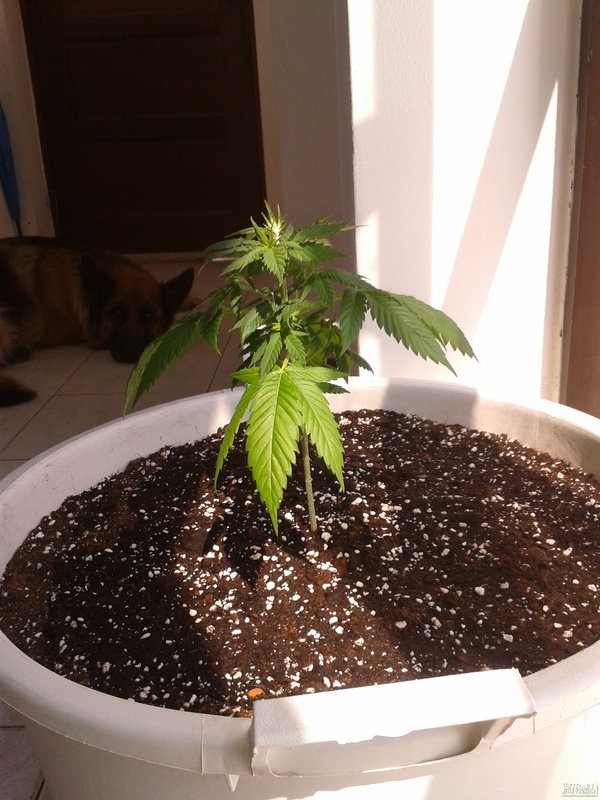 Today morning a new baby girl rised, it's a "Dr. Grinspoon" (Barney's Farm) for my Outdoor grow of this year! 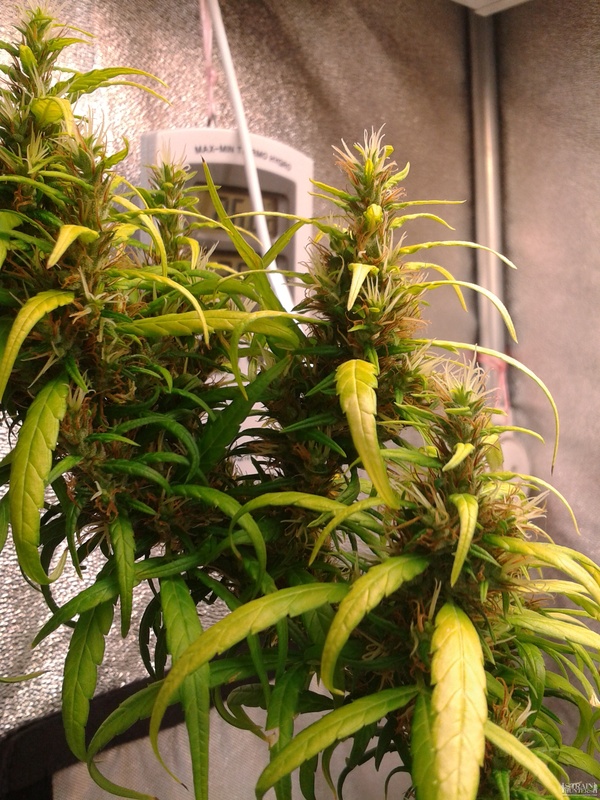 It's a 100 days flowering strain! Yes you're right, 14 weeks!!! 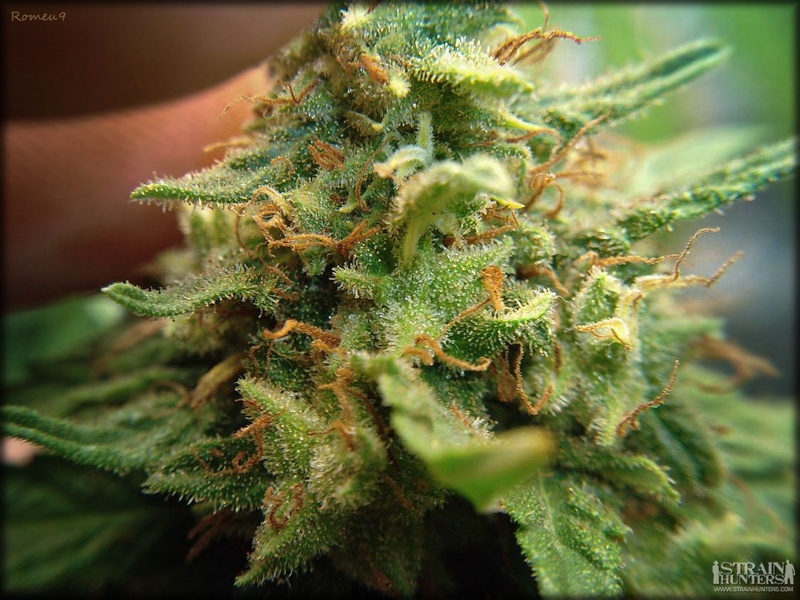 To get in touch with connoisseur strains sometimes take a while right? 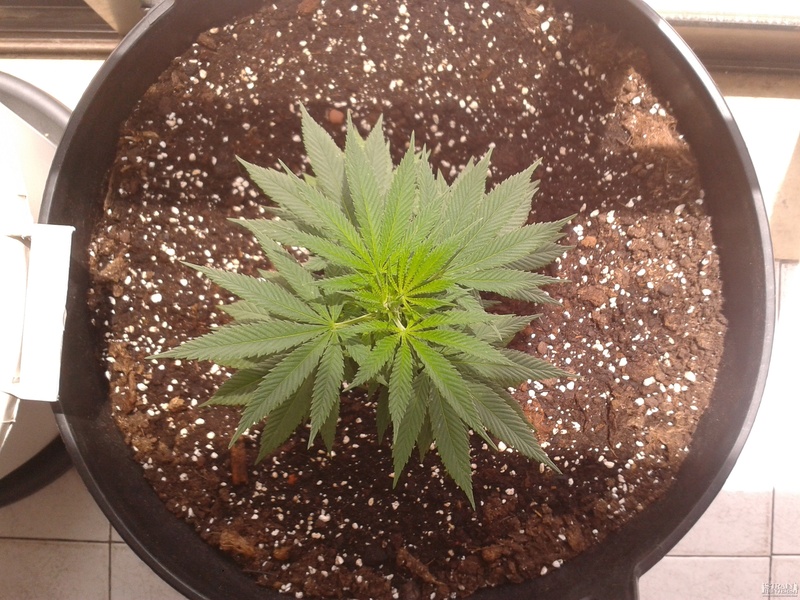 Still, decided to try this due to such a beatiful morphological structure during flowering! 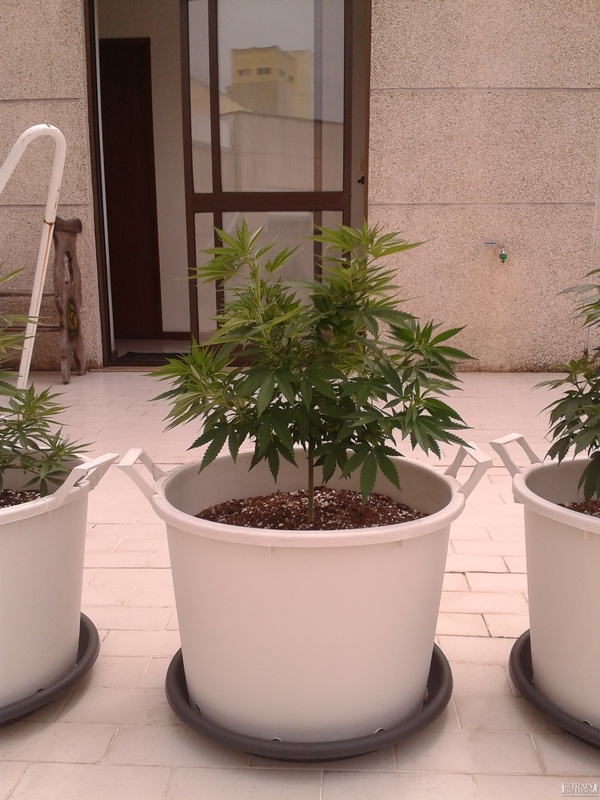 El NiÃ±o: Haze, Super Skunk, Brazilian and South Indian. 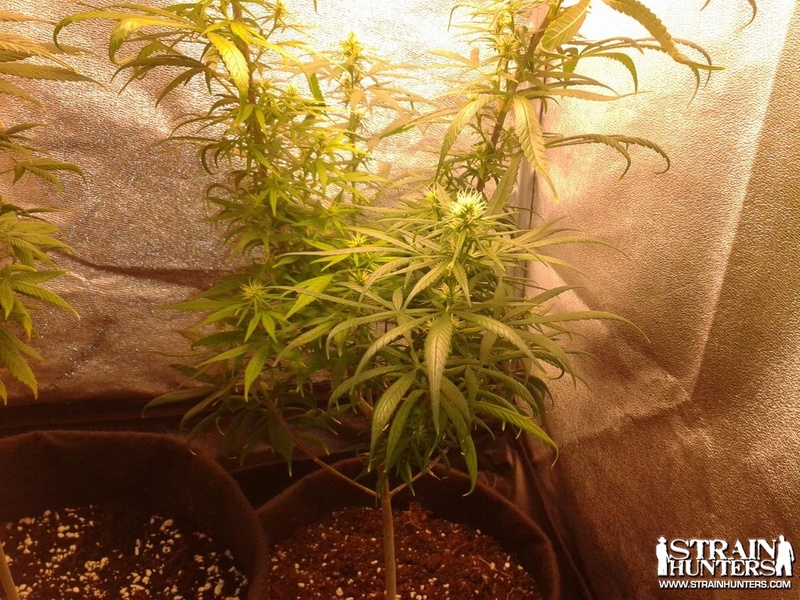 GH White Lemon is a very vigorous and very stable plant with a rubbery characteristic of the stem and grows tall, being ideal for SCROG grow setups and Supercropping. 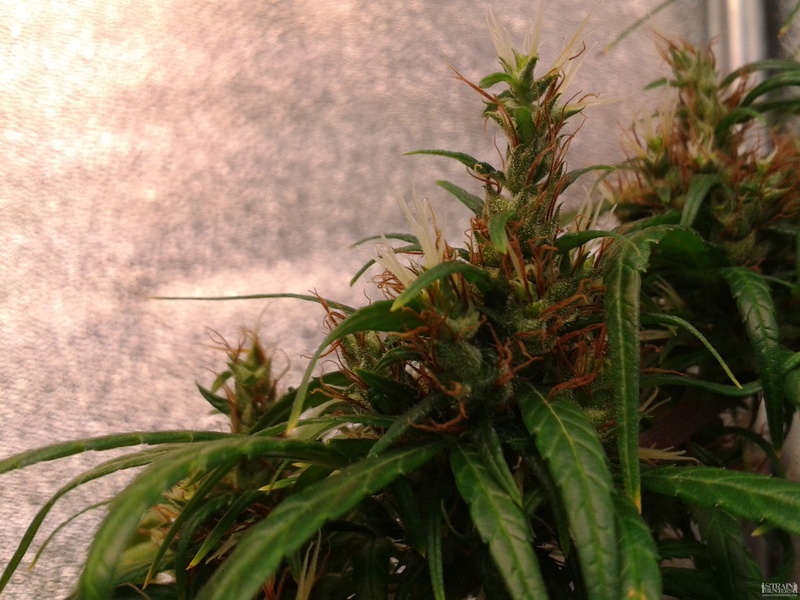 Two phenotypes are noticeable in this strain, with a third pheno much more ocasional. 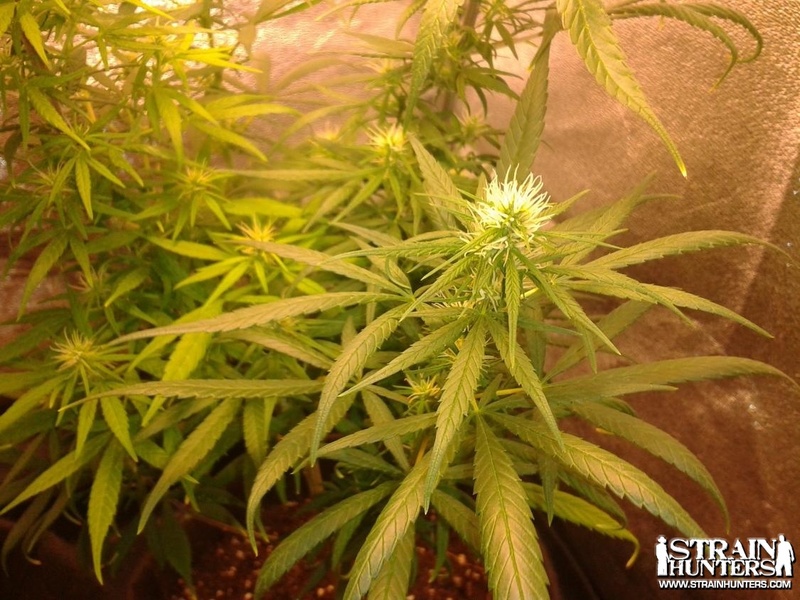 Leave shape is Indica-like despite the height grow rate of a Sativa. 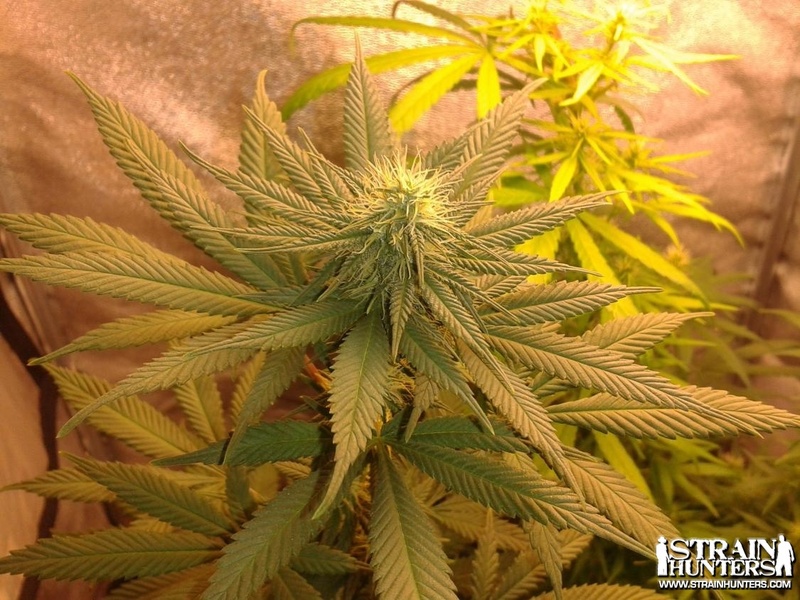 This factor wide and dark leaves will help this strain to deliver its dense and tight buds in flowering period. Buds smell is distintively lemony, the one from the genetic material of Super Lemon Haze and very frosty and compact from the El NiÃ±o side. 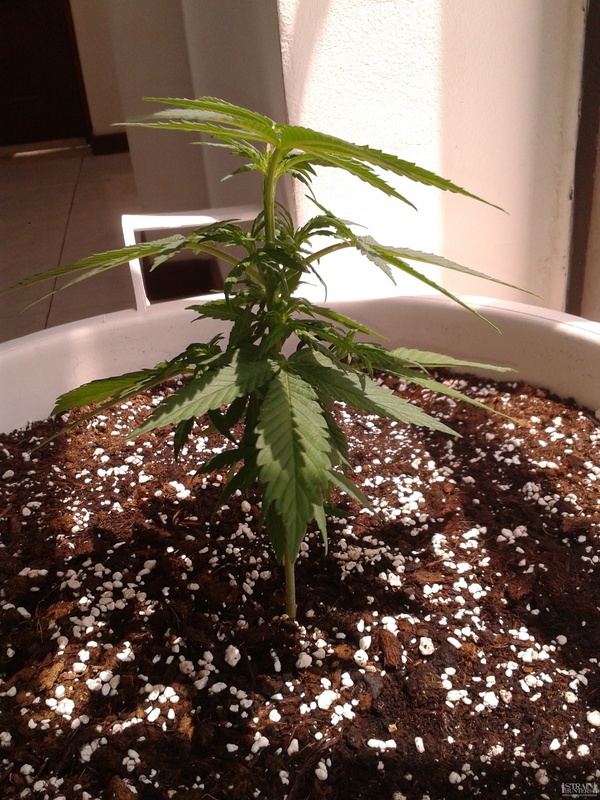 Very easy to grow, ready in 8 to 9 weeks. High yeld ability. 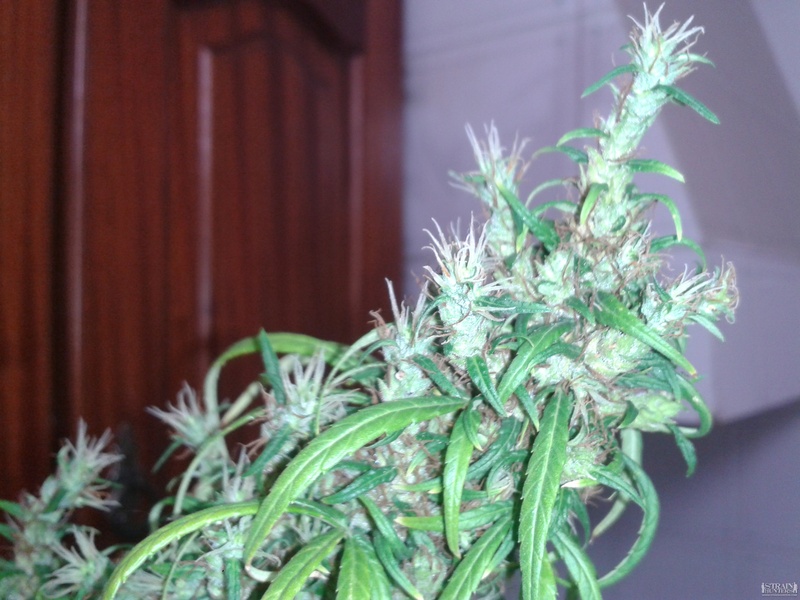 Indica phenotype smells like herself, like a very good lemon, altough it comes with a twist of something more after grinding, its a very sharp and strong spicy smoke inhaling and sweet lemony exhaling, with a oily after-tongue. 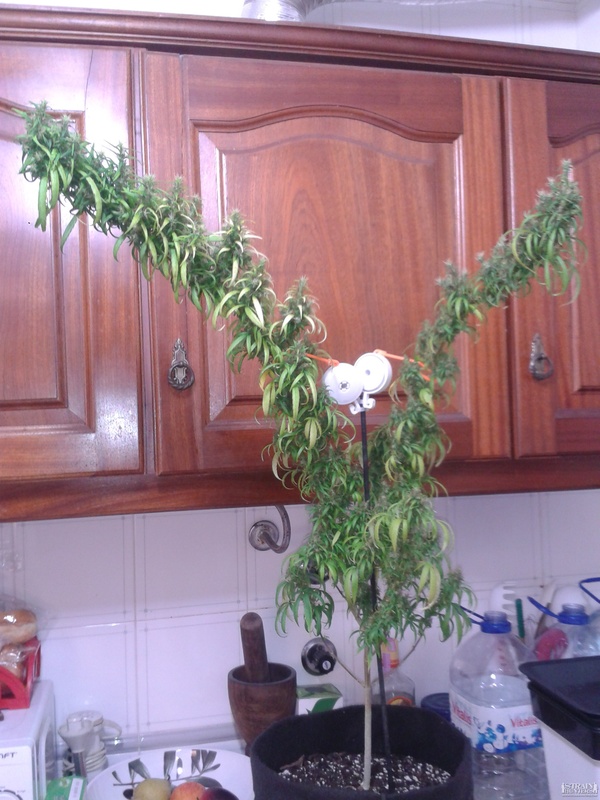 High is workable but with a heavy brain and loose body high aswell. 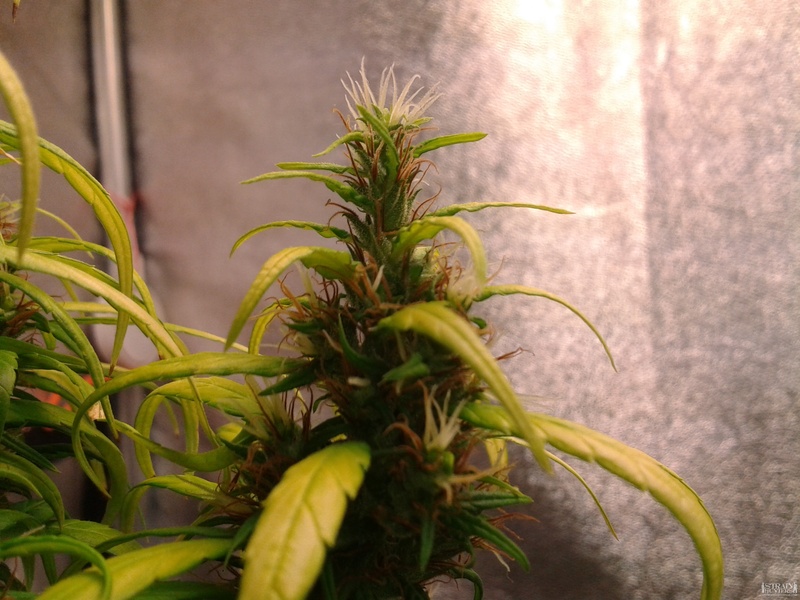 Sativa phenotype is more sweet smelling and tasting, think it realy resembles more the lemon haze side of the genetics then the indica one previously mentioned. Smokes as the first but with a sweeter tone. 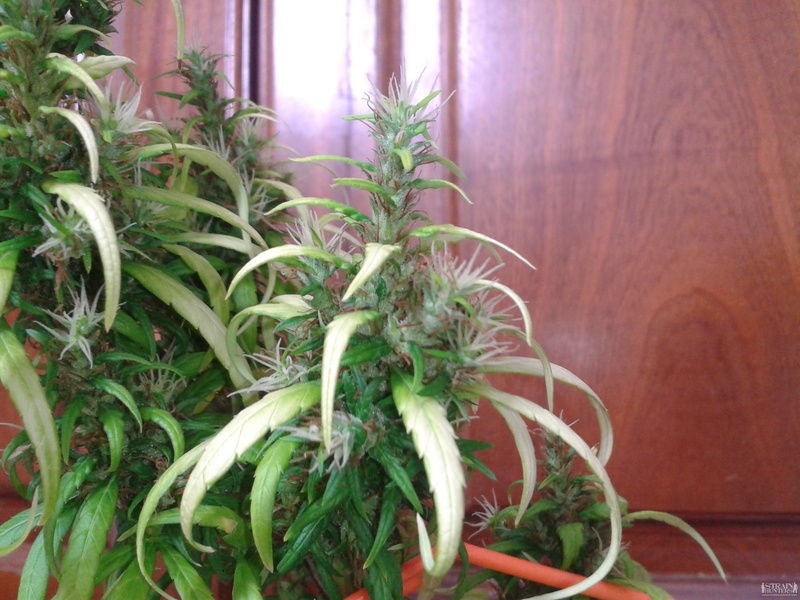 For a sour lover the indica pheno smoke will be better. Both are top notch smoke! 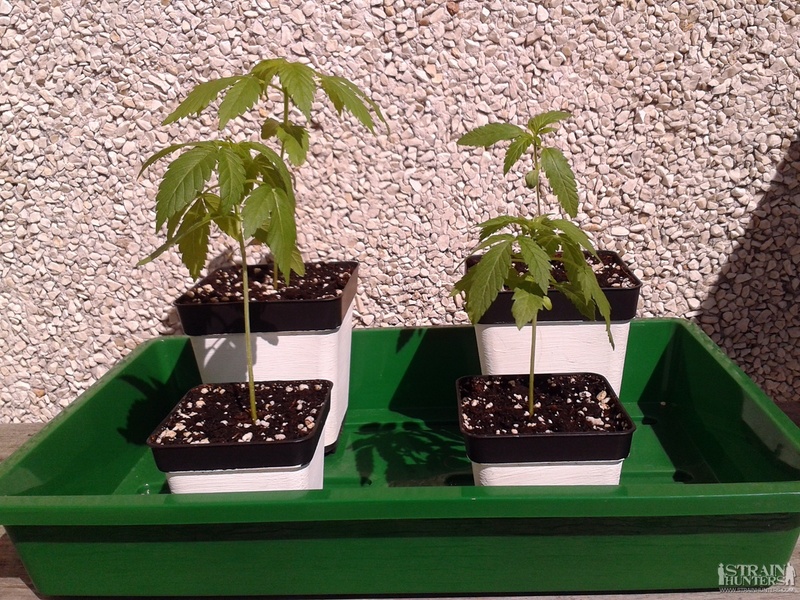 Two in the back are GH King's Kush (left) and GH White Lemon (right), the WL is two weeks younger then the others! Two in the front are GH Kalashnikova! 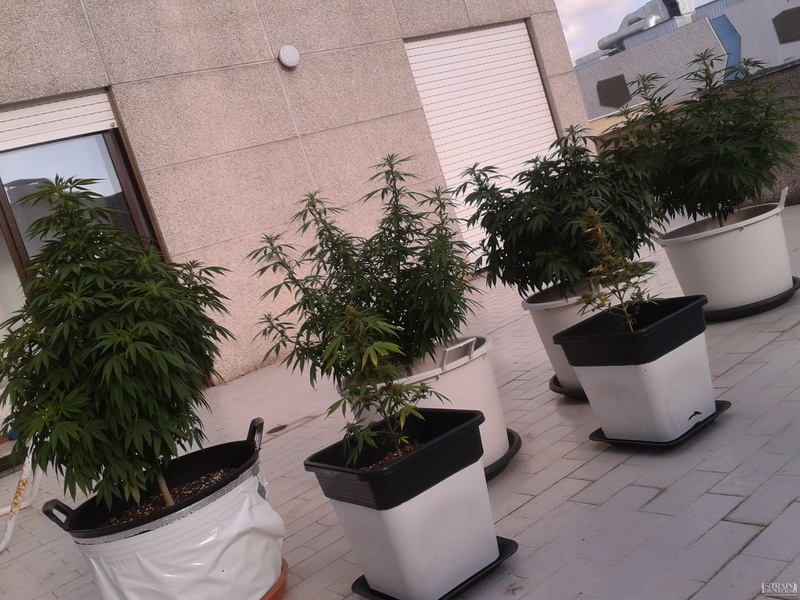 Temps still low at about 18c to 20c outside in the terrace, they been spending the most of the time inside behind glass and at night a few more hours of light indoor in the kitchen by a 125w blue spec CFL. 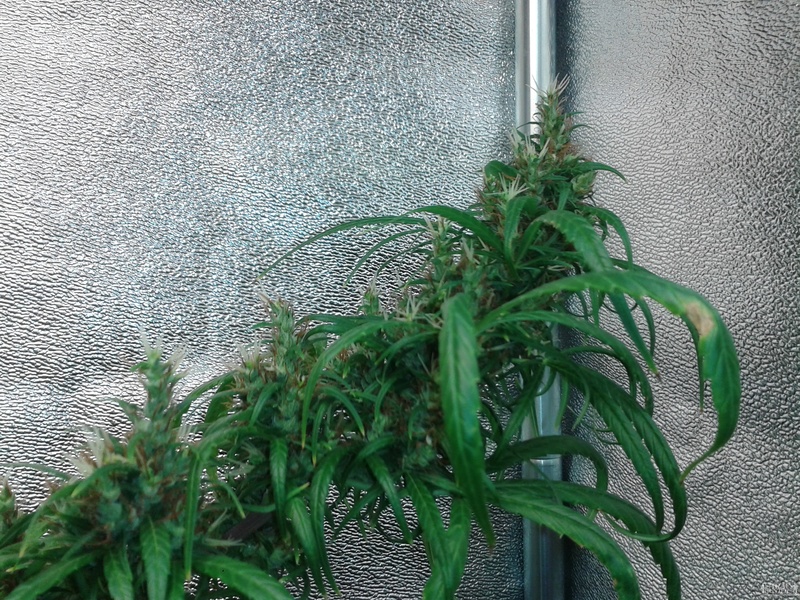 The smaller kalashnikova will be flowered in the tent after the ones I have there atmo get to be harvested in 5 or 6 more weeks. 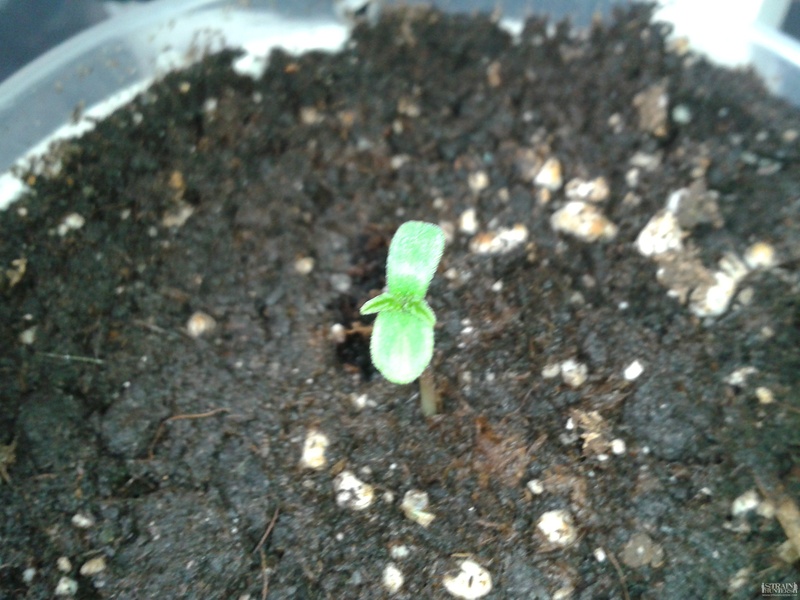 Tought I would leave some info on the new seedlings. 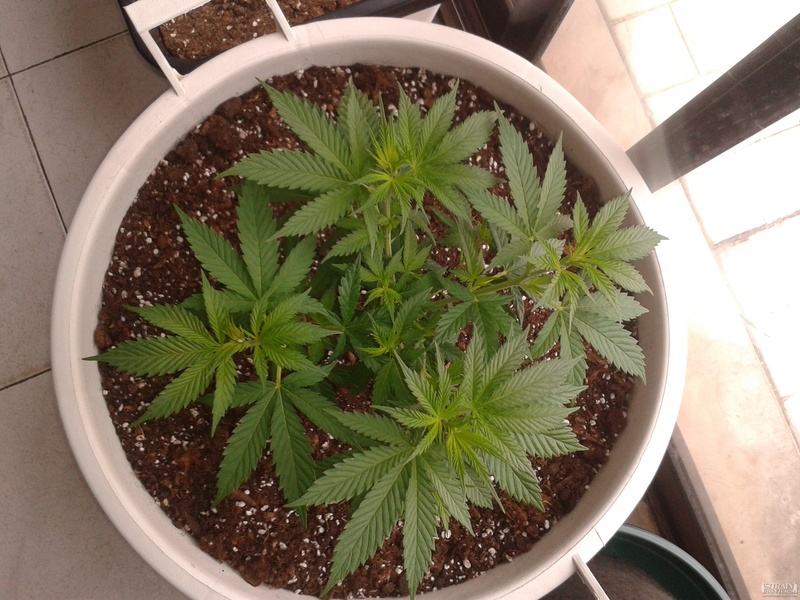 Two Kalashnikova are 3 days old since sprout and looking perfect, think I can already disclose 2 diferent phenos on them, sativa dominant and indica dominant marks on the small set of true leaves already disclosable... Not sure but we'll see..
One King's Kush seed have sprouted the day next of the Kalash's and is growing nicely and steady. 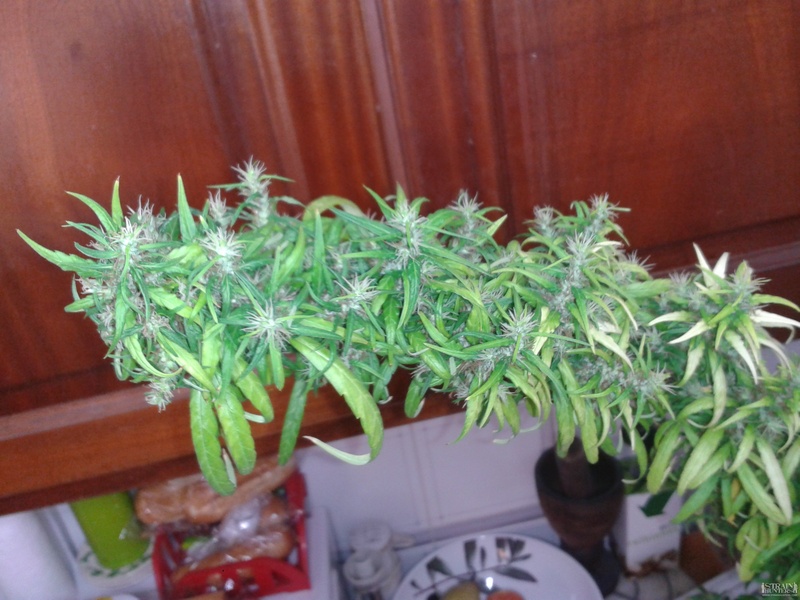 (I'm eager to grow this strain for ages already, finaly!!!!) 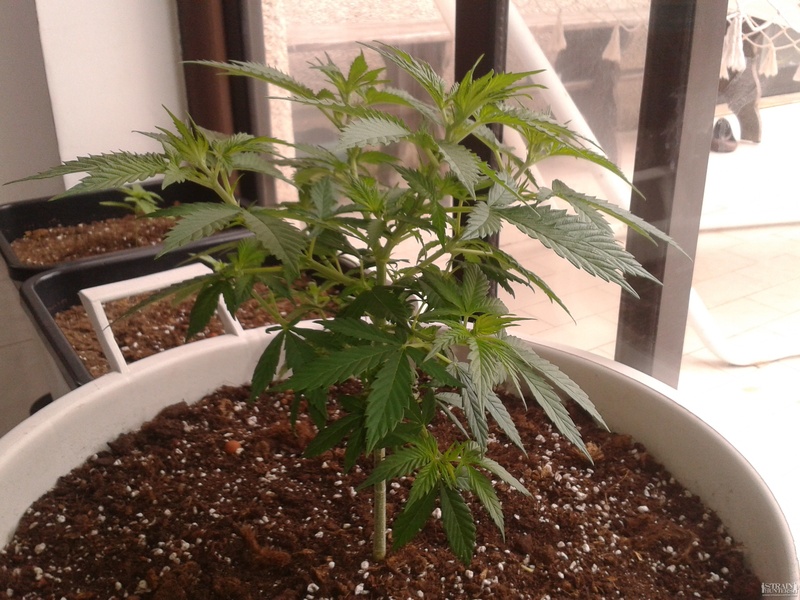 Genetic material of it is Grape x NYC Diesel x OG Kush!! Man gotta love that!!! Long Live the King! 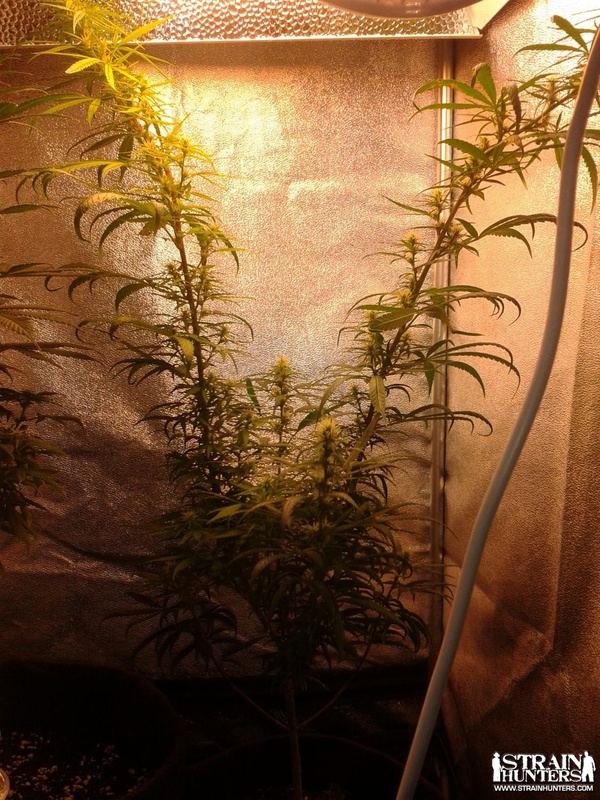 LED lights is a subject i have taken a lot of interest in and is something i have personally researched. The Hydrogro "Penetrator X Pro" lights are very highly thought of and have been proven to produce good results. This what I am personally going to buy. Quality isn't cheap but they are the market leaders when it comes new inovation. 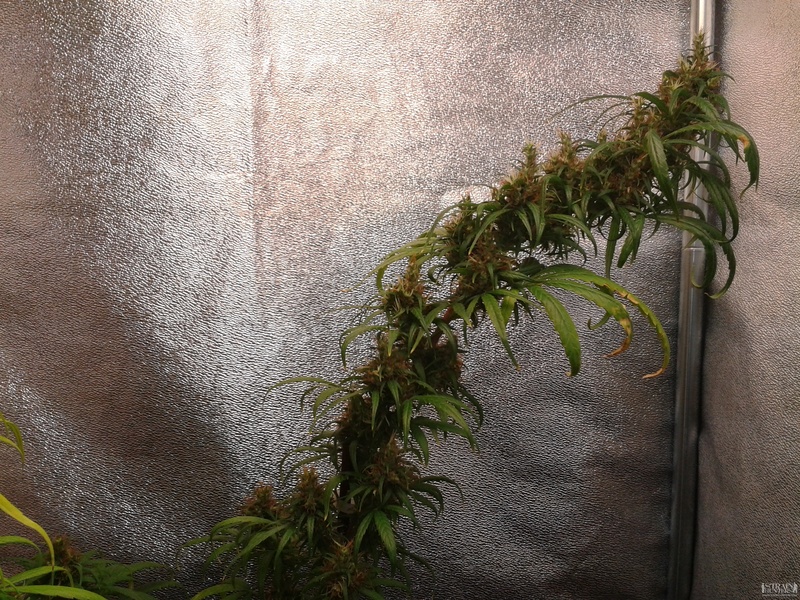 A good number of grows on other forums, with good weights and smokes.The Penetrator X Pro range uses a secondary lens which refocuses the light and produces better depth penetration of the light. 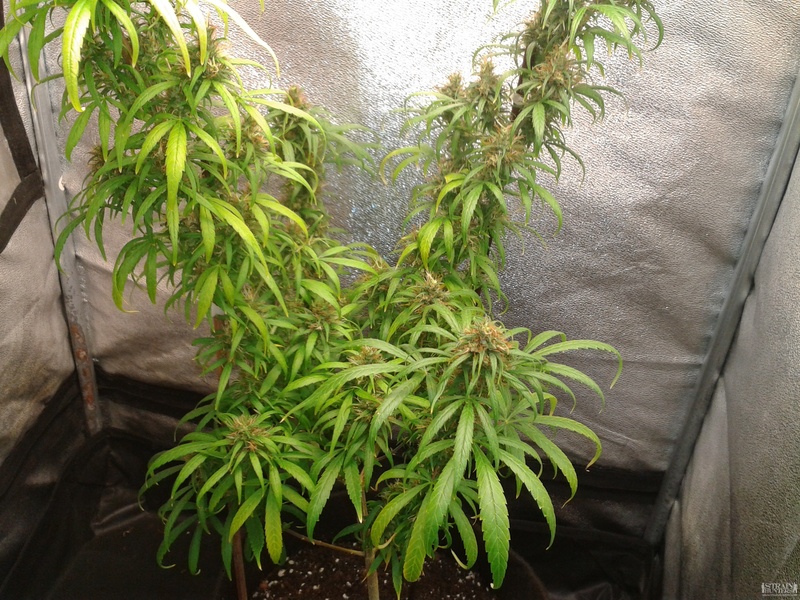 Magnum 357 A good light with lots of proven results, there are many grows on many different forums producing a good quality smoke. EVO fairly new to the scene but using high Wattage LED's This is what our Mr X uses and he has reported on ICMAG that he has achieved 2.4 grams per watt with them. That a high yeild per watt even when it comes to HID! Though there has been discusions about the LED driver (quite a technical discusion on ICMAG forums which were a bit beyond me), the LED's nearest to the power source are brighter than the ones at the furthest point away from the power source. Something i hope EVO will rectify in the future.EVO offer 60 and 90 degree convex lenses. Which i am guessing do the same job as the refocusing lenses in the "Penetrator X PRO". 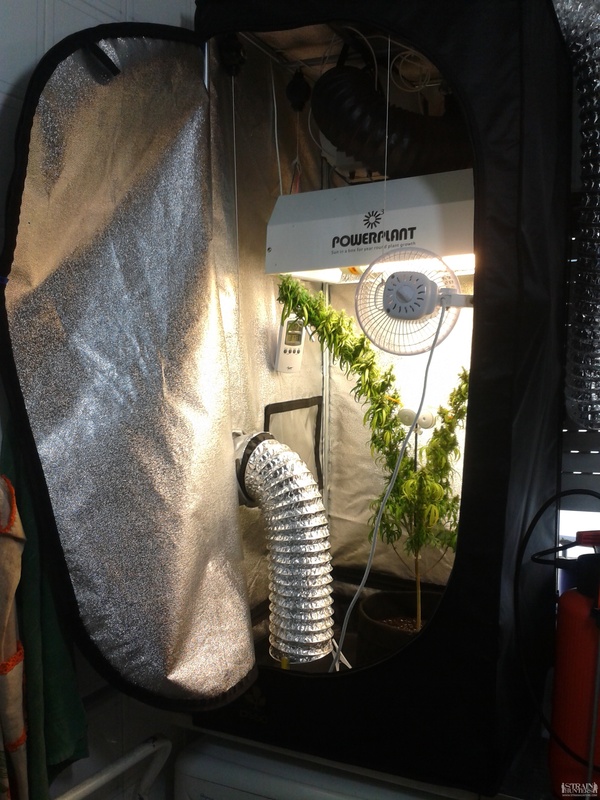 Prosource 90W &180W UFO LED these are good LED lights and not the cheap imitations from china. A reputable company with a good product. These are the real deal UFO lights with good results on other forums. 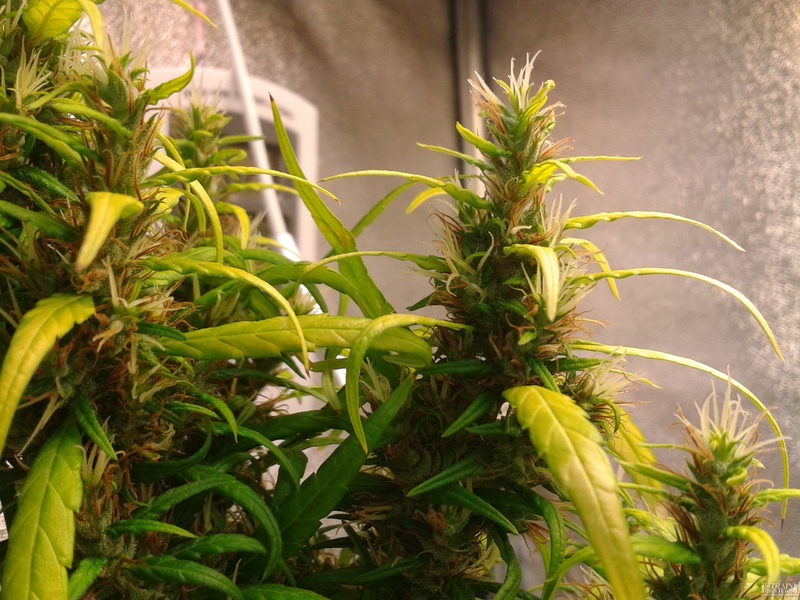 When buying a LED grow light it is important to note that the wattage shown is not alway the wattage drawn. 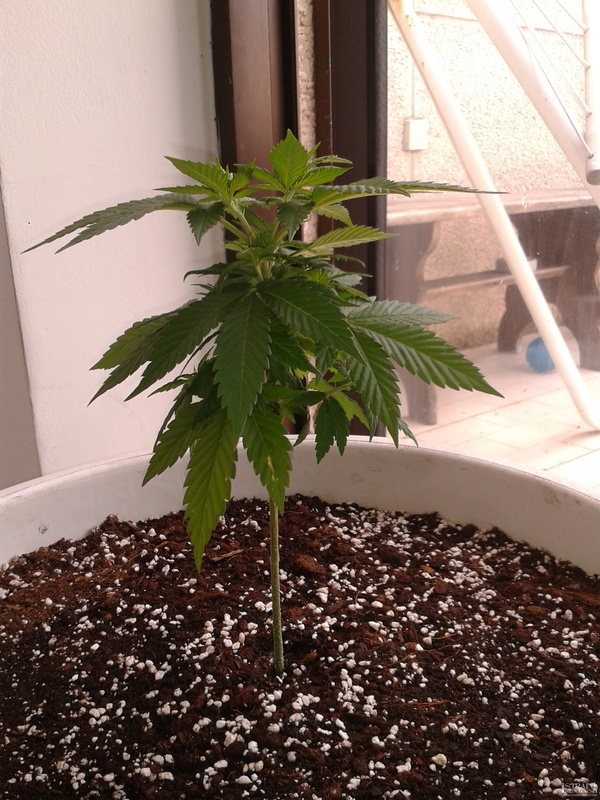 The reason is if you power an LED at it's actuall Wattage rating the life is shortened and will fail earlier, so they are often powered at three quaters to a half the stated wattage so to have a long life and not fail. Some companies do state actual draw. 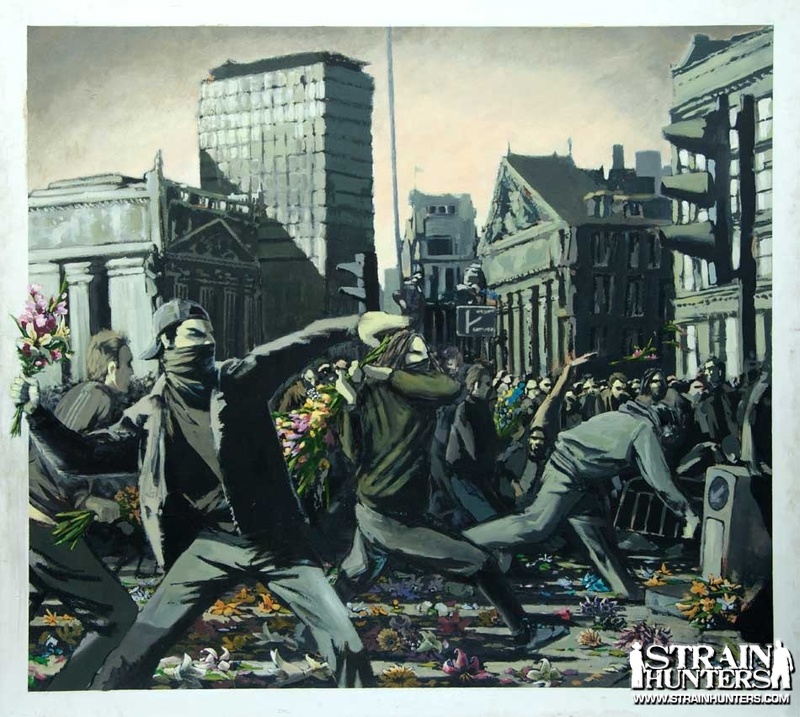 I have provided links to show actual power drawn.There is a lot of reading that can be done, some of which i will try to compile when work allows (I'm very busy at the moment). 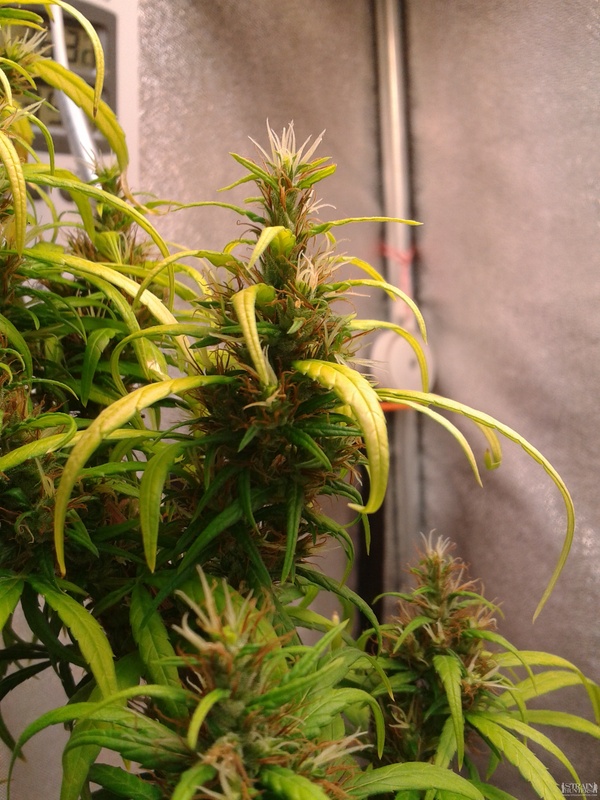 Try to check out as many LED grows here and other forums as you can, proof is in the pudding. 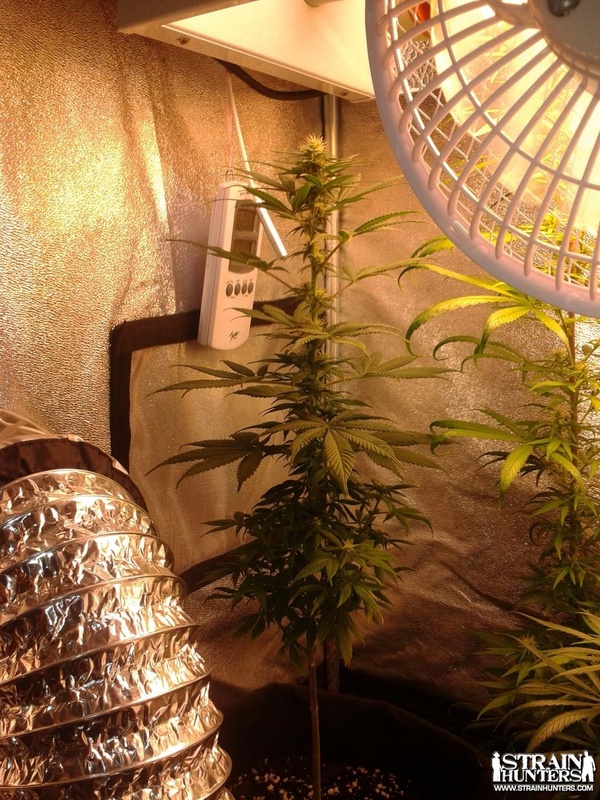 LED lights are generally better used by small grows at the moment but as tecnology improves and price drops i think larger set ups will start to use them. Was looking so much for something like this about LED light products and manufacturers!! 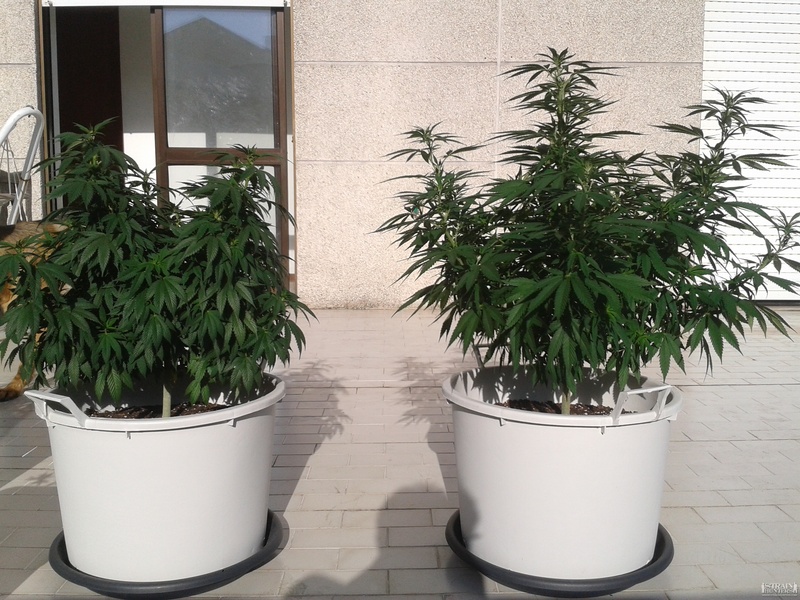 17days of 12/12 ; landrace Liamba (the toped one) and GH The Church..
Have some burned tips due to cold they have been trough, and as you can see in the video aswell the temps got a bit low these last couple of days since I cant control the flow of the intake, dispite controling the outake. The temps inside the house are about 17c now, so i cant get it over 24c as it is... Due to the cold during in veg the church is much smaller then it should be. 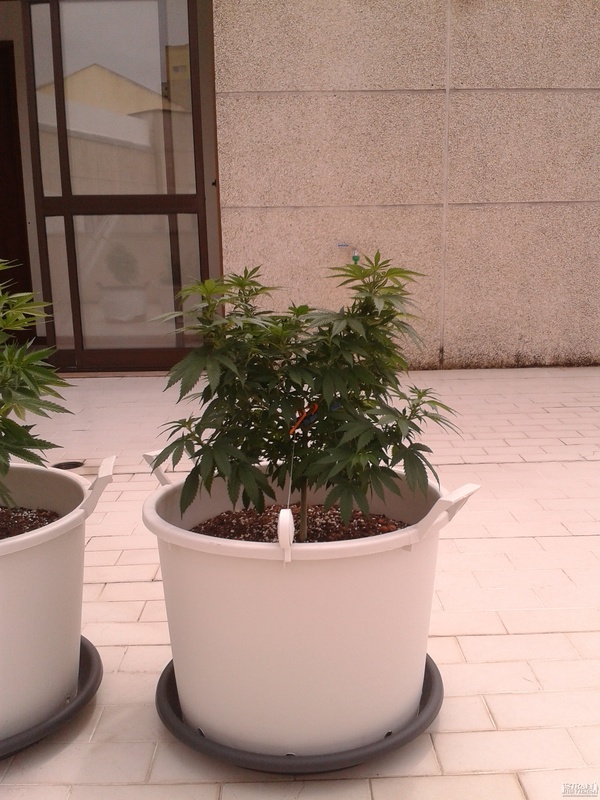 The smartpots are 12L but I foulded them so they have about 8 and 6 liters respectively (Liamba and Church). 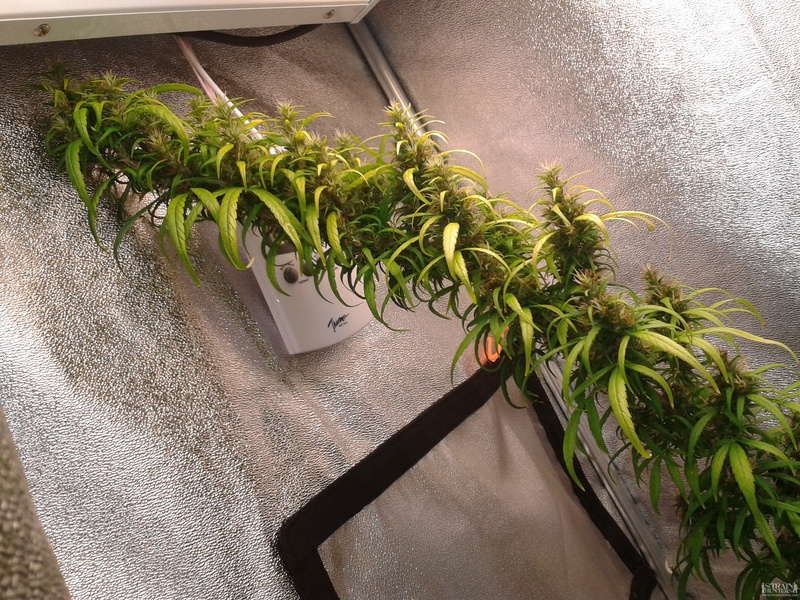 So I look forward to more better average temps in the house so the temps in the tent rise to normal values and they can grow properly! because we are a family and we let family know what's goin' on right?